Also, I don't have a beard, but I want to trick people on the internet into thinking that I do. The Polytron brand started way back when the corporation introduced it's first computer, which was of course the only of it's kind with multiple trons, hence the polytron. I'm going by the rather cheesy name of Tophat Games although it's not (as it may first seem) a silly play on the gentlemen meme popular with the indie community. Tophats have established as my general sign of identification in my old community, so I just went with that. The whole Tophat thing with the indie community was more of a coincidence. I've used "Moonfire Games" since I started really focusing on playing with games (mostly C# libraries, but getting into the actual games writing thing now). It comes from a silly place, my last name. My wife wants to use "Moonfire Designs" for her graphic design business if she ever creates it, but when you got a last name like Moonfire, might as well roll with it, right? The Polytron brand started way back when the coporation introduced it's first computer, which was of course the only of it's kind with multitple trons, hence the polytron. the polytron corporation has a wide range of varied products. OR THEY WILL KILL YOU DEAD. But seriously, I actually used a random codename generator. I guess I picked the name that I probably would have thought was coolest when I was 15. Since then, I thought up the name "Potential Robot", but don't know what to use it for. Stop it Golds, stop scaring people with your realistic pictures of heavenly laser beams scorching the earth. That IS a real picture, sir. It just has too much red. 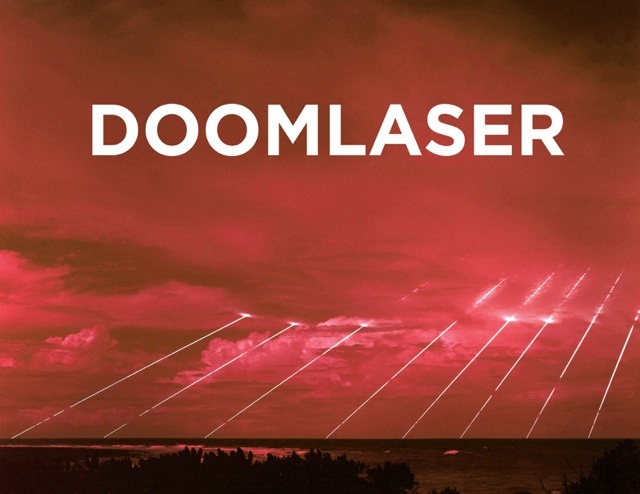 Yeah, those are ICBM trails though, not lasers. I've been fond of the name "Image Heavy" or "img heavy" for some reason.... don't know what I'll do with it. Teehee. I guess I picked the name that I probably would have thought was coolest when I was 15. Names that are cool when you're 15 are cool for life. Yeah, I was around 15 when I started using TatsuSoft. (Huh, that'd be 11 years ago.) Wow, take your screen name, now add "Soft"! Tatsu is the shortened version of Tatsumakisenpukyaku, which we all know is Ryu's hurricane kick. TatsumakisenpukyakuSoft didn't have the same ring. Really though, I should use something else. Perhaps something that has more to do with goats. Maybe. I came up with the name NimbleBit because I have had a lot of experience working at companies and on projects that felt huge and unwieldy and impossible to budge from the path they were on. So many people I worked with including myself would be constantly whining about the position the company or game was in, and how it was impossible to change becuase they had gotten stuck in a specific rut that had to be followed in order to stay afloat. So I felt that what I really wanted to do was "nimble" development, that would allow a very small team to make games in a nimble way, without taking on the kind of resources that would need to be sustained later and would inevitably lead to the same big cumbersome development cycle. I use RoninStudios as a de facto company name right now, have been for a couple of years. I am, a freelancer, my own boss, a Ronin. I have a Studio. My company, is RoninStudios. Im thinking of changing it though, as my station in life, has improved. Perhaps VikingStudios. Or something similar. In the end, outside of a sense of identity, it is just words, and mean little compared to what you produce. I chose Menergy because it is hilarious.